First, in the spirit of ethical public relations, let me disclose this: The first part of the title of this post* was borrowed directly from a U2 song of the same name. It’s a track from the the Irish quartet’s fourth album, An Unforgettable Fire. This atmospheric body of song was the first step in U2’s unwavering decision to explore and tread in new musical waters. Plus, view the video: It’s probably the last time you’ll see Bono with a mullet and sans sunglasses; also, The Edge still played that cool Gibson Explorer guitar and did not yet take up the ski cap he wears all the time these days. Enough. Except that I witnessed U2 during the War tour and was enthralled by their energy, creativity and sincerity. 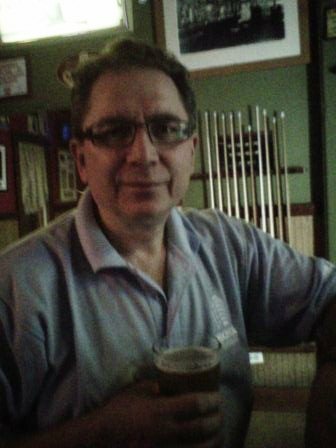 Celebrating another year with a pint of Staropramen, a great Czech pilsner, at the Chipp Inn. A few days ago, The PRDude celebrated a birthday. It was a quiet, unspectacular affair, just Susan and I enjoying a quiet dinner and nightcap. But the location was very special. We opted for a hip new “American bistro” called Branch 27. It’s located in a neighborhood of Chicago called West Town, and it’s the place I spent the first 19 years of my life. This is the home where I spent the first 19 years of my life. It’s one of the few “vintage” houses still left on the 1300 block of West Walton Street. Yes, the meal was delicious and the conversation wonderful. But what stood out to me was how the old neighborhood that so much sculpted the person I’ve become had evolved from a place where so many of us want to get away from to one that attracts those who now call Chicago home. From our table, overlooking the intersection of Chicago Avenue and Noble Street, I saw some of the familiar: The #66 Chicago Avenue bus, people swimming at the Ida Crown Natatorium in Eckhart Park and Hispanic families with kids in tow. I rode the #66 bus many times, swam in the pool at Eckhart Park on hot days and had many Hispanic kids as friends and classmates. After dinner, we strolled west a few blocks on Chicago Avenue to get a better perspective on the unfamiliar. The shops that housed Jewish-run department stores, butcher shops (with sawdust on the floors), stores that sold live poultry and a liquor store run by a Polish guy named Casey Koleta were gone. In their place were wine shops, a restaurant named after an heirloom tomato, a nightclub that doubled as a beauty shop and, you guessed it, more restaurants. But Holy Innocents parish, one of the predominantly Polish churches that defined the neighborhood for generations, is still there. The big Romanesque Revival bell towers dominate the horizon south of Chicago Avenue, and I trust on Sundays mass is said in Polish and Spanish. 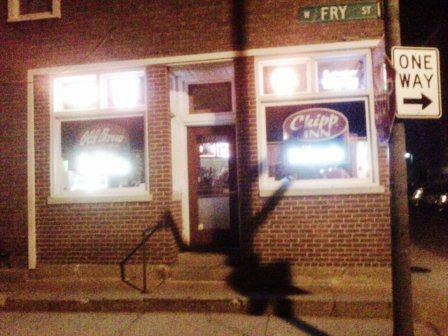 The Chipp Inn, looks pretty much the same after all those years. But the beer selection is better. It was a time when West Town still was the home of some Poles, Ukranians and other people of Eastern European heritage; it was those people — factory workers and foundry workers, like my late father — who settled West Town and helped build Chicago. Many never “got out,” like my family did to find safer, greener streets. We now live around three miles from West Town, in a neighborhood called Avondale. (Read my “travelogue” about our sister neighborhood, Logan Square.) It’s a fine, relatively leafy place that, like West Town, had its struggles but has turned the proverbial corner. Growing up, West Town was not always a pretty place. There were gangs, drugs and advancing urban decay. But somehow, the old neighborhood survived and is home to new Chicagoans and their children, to new entrepreneurs and to new ideas. 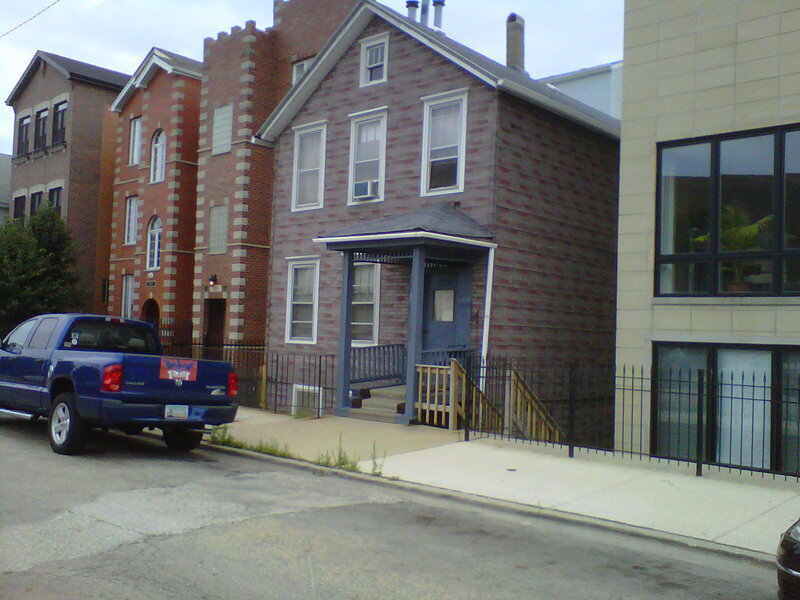 Unlike some parts of Chicago, West Town is still somewhat intact. Hey, there’s even a chamber of commerce. In the weeks to come, I think I’ll have more “homecomings.” I’d like to think that in some miniscule way, me and many others who were born and raised in a place like West Town contributed to its evolution. Have you had a similar homecoming? Please share your story. This entry was posted in Uncategorized and tagged Branch 27 restaurant, Chicago, Chicago neighborhoods, Chicago's West Town neighborhood, Eckhart Park, Holy Innocents parish, public relations, West Town. Bookmark the permalink. Hello: Thanks for your comment. I remember Bravermen’s. Known for corned beer sandwiches. It was next to the Alvin theater. The little hot dog place on the northeast corner of Chicago and Ashland is still selling great hot dogs.